San Bruno is the point of departure for the "Bayshore Cutoff" to San Francisco, built in the early 1900s by the Southern Pacific Railroad. The rail line to San Francisco originally went straight through San Bruno and detoured around the west side of San Bruno mountain, where BART runs today. The cutoff was built around the east side of the mountain, then through a series of tunnels, as a shortcut into San Francisco. This is the alignment used by Caltrain today and planned for HSR. The houses along Montgomery Ave, on the inside of the curve, would likely have to be taken by eminent domain. According to zillow.com these houses are worth a combined $6 million, a relative drop in the bucket compared to the $4200 million to be spent on the peninsula alone. The tracks would also pass on the site of the former lumber yard on the inside of the curve, recently torn down. The viaduct for I-380 (named, irony of ironies, the Quentin L. Kopp freeway) crosses over the tracks at the north end of the curve, supported by a forest of beefy concrete pillars. Caltrain has planned a 4-track grade separation in this location (see below) that essentially preserves the existing sharp curve. (The radius was planned to increase slightly from 1800 ft to a still-tight 2000 ft, staying within the existing Caltrain right-of-way.) However ill-conceived, these planning errors have a sneaky way of perpetuating themselves, especially after the $10 million spent to date on engineering this project. The next significant curve, 2.5 miles to the north, around the base of San Bruno mountain at Sierra Point, has a radius of about 2600 ft (800 m), giving it a maximum safe speed of about 85 mph (140 km/h). This curve cannot be straightened due to the local topography, but is sufficiently distant from San Bruno to allow trains to accelerate to 125 mph (200 km/h) by the time they reach San Bruno curve. San Bruno has grade crossings at Angus Ave, Scott St, and San Mateo and San Bruno Avenues. 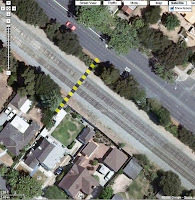 The latter is known as one of the most dangerous crossings on the peninsula, because San Mateo Ave crosses the tracks at an acute angle and the nearby curve limits visibility for trains, auto traffic and pedestrians. Caltrain and the city of San Bruno have long-standing plans to grade-separate the crossings in San Bruno. These plans have been delayed several times due to funding issues, most recently until 2012. 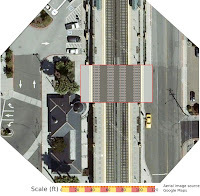 Caltrain has produced a detailed Grade Separation Study Report, from which the preliminary track layout is of particular interest. The city of San Bruno is developing a downtown and transit corridors plan that includes the Caltrain station area. The San Bruno Caltrain station would be rebuilt to the north of its current location with four tracks, elevated over the San Mateo Ave / San Bruno Ave crossings. The streets would be sunk to pass under the new station. The Scott St. crossing would be closed to auto traffic, with a pedestrian / bike underpass built instead. The proximity of the BART tunnel, which passes under the Caltrain tracks just south of San Mateo Ave, is a complicating factor discussed in the report. With the passage of proposition 1A, Caltrain's plans for San Bruno should be thoroughly re-evaluated, regardless of the studies, $10 million of preliminary engineering, committees, public input and debate of the last several years. With high speed rail in the mix, the requirements have changed, and the biggest problem with the existing plans is the San Bruno curve. The California High Speed Rail Authority's Bay Area EIR / EIS, Appendix D, shows the alignment through San Bruno as a 15-foot tall retained fill embankment with split grade separations (exactly as planned by Caltrain, except with four tracks all the way through town). The rails dip down briefly to grade level as they pass under the I-380 viaduct. The CHSRA gives no indication of an intention to straighten San Bruno curve; their plans show the tracks following the existing Caltrain right-of-way. 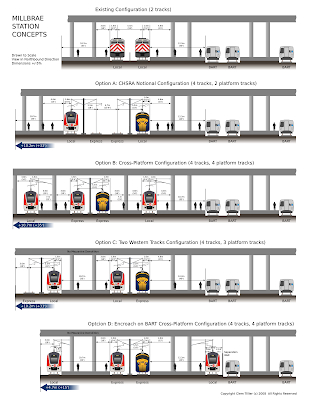 For more details on this proposed design for the San Bruno station, see San Bruno Done Right. NOTE: This post will be updated continuously, as warranted by additional information or new events relating to San Bruno. Menlo Park is the site of California's oldest passenger train depot, built in 1867. 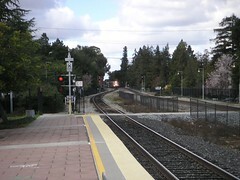 The town has a closely spaced series of four grade crossings near its center, at Ravenswood, Oak Grove, Glenwood and Encinal Avenues. 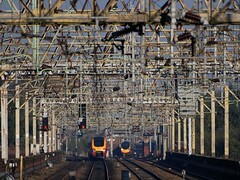 Trains must blow their horn nearly continuously when they pass through the area. Menlo Park, along with its affluent neighbor Atherton, is noted for its official opposition to HSR, despite most residents having voted for Proposition 1A. 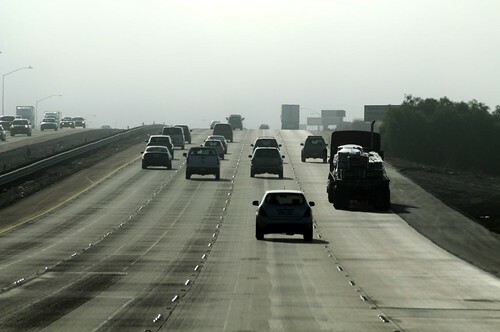 The city also joined a lawsuit to make Altamont Pass the preferred HSR entry to the Bay Area, instead of Pacheco Pass. While this would remove HSR from Menlo Park's downtown, many residents don't realize that the Altamont alternative would still pass through Menlo Park, impacting the Suburban Park and Lorelei Manor neighborhoods instead. The existing railroad land through Menlo Park is narrower than 100 feet along most of its length. Along Stone Pine Lane, it is 75 feet wide. Between Oak Grove and Glenwood Avenues, it is just 60 feet wide, although abutting land is not residential and could be taken with only minor disruption. South of the station, the right of way is 80-100 feet wide. Maps of the existing ROW boundaries are available for mileposts 28-29 (north end of town) and 29-30 (south end of town). The existing vertical alignment of the Caltrain tracks is shown in the figure below, created from Caltrain track survey data. Menlo Park has planned for grade-separating the four crossings since 2001. With the HSR project well underway, at least one design requirement is coming into better focus: the probable need for four tracks. 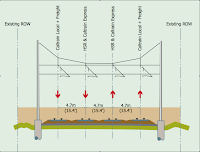 A grade separation study and presentation (developed in 2003 - 2004) consider the impact to adjacent properties, shows some renderings of a few concepts, and also feature some nice illustrations of construction staging. This study anticipated quadruple tracking, although Menlo Park's latest official position (as of 2015) is to oppose any more than two tracks. The CHSRA's project-level environmental work on the San Francisco - San Jose HSR project in the 2009 - 2010 period resulted in preliminary design alternatives including elevated, at-grade and below-grade variations of the vertical alignment through Menlo Park. 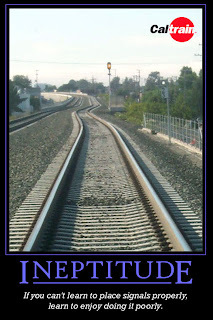 Any changes to the vertical alignment of the tracks through Menlo Park must be coordinated with neighboring Atherton, which has two crossings just over the city line, too close to allow grade changes to a different elevation. The figure below shows a split grade separation, with the rails raised by about 15 feet and the roads sunk by about 5 feet. Pedestrian sidewalks would remain at grade. 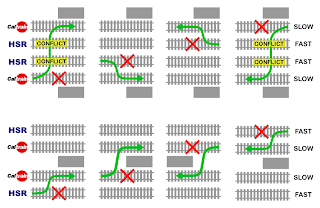 Alternately, the tracks could be sunk fully into a 30-foot deep trench, as shown in solid red line in the next figure. This would leave roads at grade, although it would likely result in greater construction impacts. 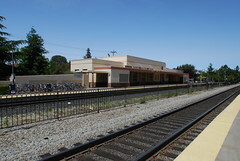 The existing Menlo Park Caltrain station was rebuilt in 2000. Rebuilding it with four tracks would require demolishing the new platforms, removing heritage trees on the east side of the station, and considerably narrowing Alma St. The historic depot building (and the baggage building that houses the model railroad) would be relocated to make way for the new southbound track. The 2003 grade separation study presentation contains relevant diagrams. Menlo Park has long standing plans to install a pedestrian and bike tunnel under the tracks to link the Burgess recreation area with Safeway and the neighborhoods on the other side of El Camino Real. This tunnel would be located about here, under the raised berm that currently supports the two existing tracks. Before this project proceeds any further, it should take into account future quadruple tracking for HSR. A few vocal residents have vigorously opposed HSR on the grounds that it will degrade the quality of life in Menlo Park. 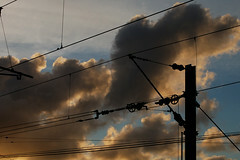 In particular, vocal critics Martin Engel and Morris Brown, who live near the tracks, have advocated against Proposition 1A by founding Derail High Speed Rail, a group that opposes HSR on economic and geopolitical grounds... and, perhaps also, because of their back yards' proximity to the tracks. Another Menlo Park resident, Russell Peterson, has filed a lawsuit claiming that the HSR project usurps the Union Pacific Railroad's exclusive rights to operate intercity passenger trains on the peninsula. NOTE: This post will be updated continuously, as warranted by additional information or new events relating to Menlo Park. The public has a strong interest in the HSR project, rooted in two different roles: the role of a user who desires HSR to be convenient and fast, and the role of a taxpayer who desires HSR to be built efficiently and for the least amount of money. The public pays up front (see Proposition 1A) and is usually not very well organized to defend its collective interests, compared to the other stakeholders. This blog will scream loudly, if anybody listens, to defend those interests. While other stakeholders may say that they want HSR to be fast and cheap, the bottom line is that they have little stake in that outcome. Read on to see why! On the peninsula, the various agencies are going to defend their parochial interests. Caltrain, the Transbay Authority, SamTrans, VTA, the three counties, the High Speed Rail Authority, and the local communities are going to defend their piece of the pie, be it money or influence. 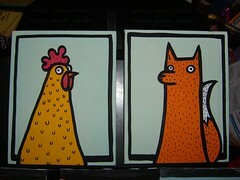 One catfight to watch for in the coming years will pit Caltrain against the CHSRA. Caltrain owns the peninsula rails, but HSR will so profoundly alter every project recently undertaken or planned by Caltrain that even shared goals (fast, efficient and modern transportation) won't be enough to prevent some friction. Up in San Francisco, sparks are already starting to fly between the CHSRA and the Transbay Authority. The agencies will be in cahoots with the construction companies. You've got to worry when on the night of the election, Quentin Kopp, the head of the CHSRA, is having martinis with the construction big wigs (HNTB, Parsons Brinckerhoff, Webcor) who will get a piece of the action. Construction companies that will build the HSR project stand to profit handsomely. They are where the money ultimately flows. Design engineering, construction, program management, most of the slices of the HSR budget will be sent to them at some point. Their interest is to make money. They make a lot of money by engineering complex infrastructure that involves lots of earth moving and concrete pouring. The more earth moving and concrete pouring, the greater the profit. There's nothing wrong with that so far. Look out for gold-plated solutions to simple problems, sold by throwing up a fog of expert-knows-best complexity. Opposite the NIMBY's, there are what you might call YIMBY's (Yes, In My Back Yard!) who would like to use HSR as an opportunity to obtain local benefits, again without regard to the wider public interest. One example is the screwball plan to tunnel the tracks underground, floated by a Palo Alto group. There will be other communities keenly interested in swinging some HSR bacon their way to achieve urban design aspirations entirely unrelated to HSR.